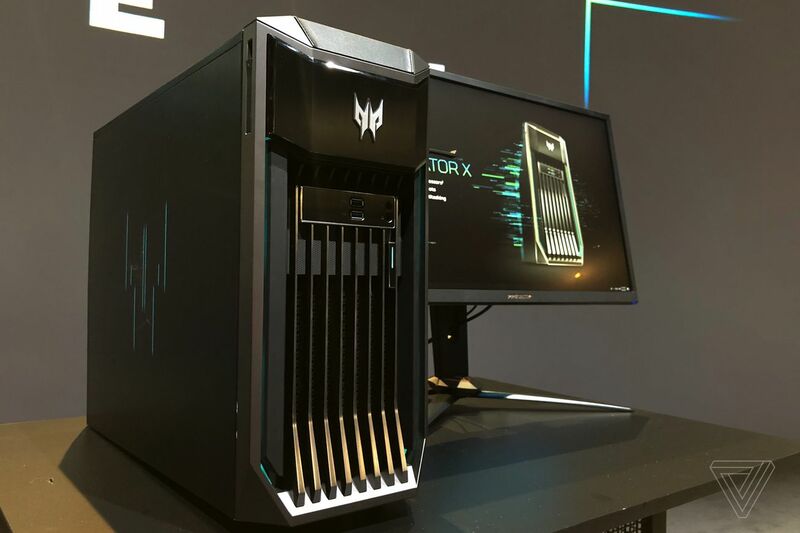 Acer has started to tease its upcoming Predator X gaming desktop at IFA 2018, showing off some early hardware along with some new information about the upcoming tower that looks to bring the power of enterprise-level hardware to gaming. In person, the Predator X looks like, well, a gaming tower, with the usual assortment of grills, vents, LEDs, and a massive Predator logo on the side. But it’s what’s inside the Predator X that’s far more interesting: two Intel Xeon processors, and up to 12 ECC DIMM slots for RAM. Taken together, that’s a huge amount of firepower that the Predator X will in theory be able to offer.